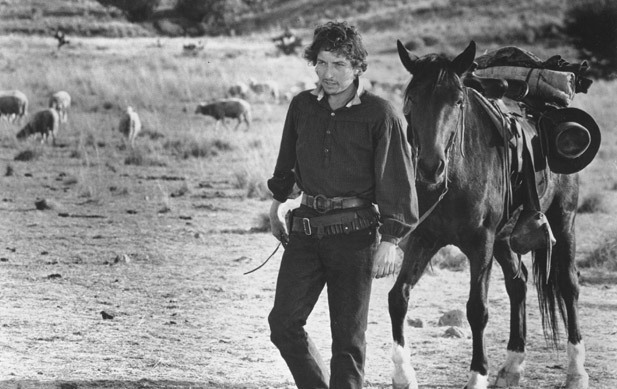 A while ago I did a post on my top 10 country versions of Bob Dylan songs (soon to be updated), since then I’ve been made aware of a lot more songs from people who read the original post. Then most of my pickings where of classic country leaning on outlaw country, in this post I will concentrate on the new generation of country/ alt. country. What a wonderful sound and such a great performance. These guys are just so good! Sid Griffin and his Coal Porters perform their final encore, “You ain’t goin’ nowhere” live at Eurofolkfestival, Ingelheim (near Mainz), Germany on June 27, 2013 in front of the stage because the stage was cleared for the next act. “You ain’t goin’ nowhere” was written by Bob Dylan in 1967 and was first recorded by the Byrds and released as a single on Columbia Records, produced by Gary Usher, on April 2, 1968 reaching #75 US and #45 UK as well as being on the classic album “Sweetheart of the rodeo”. 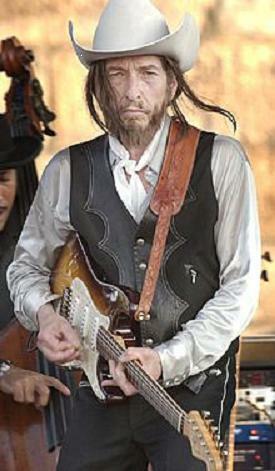 Dylan himself released a 1967 version, produced by Leon Russell, on his 1971 sampler “Bob Dylan’s Greatest Hits Vol. II” aka “More Bob Dylan Greatest Hits” as well as “Basement Tapes” (recorded with the Band). Sid Griffin is a great American musician / singer-songwriter (former member of the Long Ryders, Western Electric and the Unclaimed), journalist and Dylan-author. The Coal Porters are the world’s first alternative Bluegrass band. What a great voice Sarah Watkins has! One of my all time favourite Dylan covers! Wow, a strong version of a wonderful song. He really gets the lyrics through. When searching the big web for songs, about a thousand versions of To Make You Feel My Love popped up. It’s a good song, and there are many decent versions. But it is heading into that class where Leonard Cohen’s Hallelujah and Dylan’s Knockin’ on Heavens Door is, in radio hell. Songs doomed to mainstream radio with vastly inferior versions than the originals. It’s a shame, but I guess it is what happens when songs are played to death (pun intended). All of the songs here are fresh and good interpretations even if I like the original better, and that goes for all the Dylan songs I have chosen. I fine interpretation, a bit chatty audience and shaky camera work but the greatness of the song and the band is obvious. It looks like it was a great Lebowskifest! Will Oldham aka Bonnie Prince Billyis performing with the whole Motherlodge crew. Recorded at Actors Theatre in Louisville on November 11, 2012. I know I have posted this in a video post before, but I think it is so good I just had to include it here. Wonderful singing and it’s a long song, I am impressed he manages to keep that storytellers-groove going all that time. The Avett brothers have covered quite a few of Dylan’s songs, but I think I made the right choice (the other ones are also good). Great band. Fun Fact: Simone Felice played drums on the album (I and love and you), no, not all the songs, but it shows his musicality. He’s a very good drummer, great songwriter and guitarplayer, and , my God, what a voice! Great version, I’ve seen them in different settings over the years. Simi Stone was also a member of The Duke and The King, great band both on record and live, hope they’re just on a break. Good band that we have done at least one write up on in the past, check them out. Bon Iver can cover everything and it will turn out interesting! This is a song that sounds as if it was written for them, they’re good singers! This was recorded just a short while ago. This is wonderful work! The Nickel Creek cover is stunning. Two years after my previous comment, I’ve just spent some very pleasant minutes listening again to these recordings. I thoroughly enjoyed myself all over again. I liked “Brownsville Girl,” “God on Our Side,” and “Every Grain of Sand” even more this time around. The post needed a fix and when i looked over it I liked it so much myself that I re-posted. Awesome Bon Iver cover. I always learn of new things on your site. Than you so much! There are so many good Dylan covers out there, and I had a hard job to limit the selection to 10. Thanks for posting that Bonnie Prince Billy versio of Brownsville Girl – just a stunning piece of video history. “Never Say Goodbye” by Jim Thompson from Cosmic Cabin memories brought that particular song back for me – also some great Dylan covers on Jimmy La Faves first album (Austin City Limits?). Not sure if Willie Nelson is Americana or not but try “He Was a Friend of mine” from the Brokeback Mountain soundtrack – there’s an accordian there, just creeping through before the band kicks in. Nice selection. For Australiana try “Caribbean Wind” by The Revelators (Amazing Stories) – awesome close cover version. Thank you for your feedback and for your tips, I will check them out (and maybe include them in my next post on the subject). My definition of Americana is very broad, and I most definitely include Willie in the genre. ..I’m not very familiar with, but I will most certainly seek out your suggestions.